Born in England on 18 September 1888, he came to Canada at an early age and adopted Aboriginal ways. After service in the Canadian forces during the First World War, he was adopted by the Ojibwa in 1920. He passed as an Indian, claiming to be the “half-breed” son of an Apache mother. 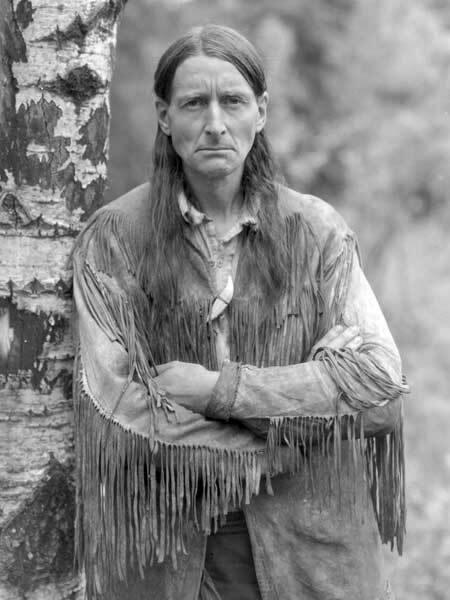 In 1931 he lived and worked in Riding Mountain National Park, engaged in the conservation of wildlife. He moved on to Prince Albert National Park in Saskatchewan, which served as the arena for most of his best-known work. In the 1930s he became a leading lecturer and writer on conservation, in the process celebrating the lifestyle of the Aboriginal people of North America. His most important works were Men of the Last Frontier (1931) and Pilgrims of the Wild (1934). He was married for a time to Gertrude Bernard. He died on 13 April 1938. From the Land of Shadows: The Making of Grey Owl by Donald B. Smith (1990).